The local corn is amazing this time of year and there are so many ways to enjoy it…hot or cold. Here are a couple of my favorites. After shucking I cut off any excess cob so the wide end is flat on the bottom. Then holding the narrow end of the cob with my left hand I stand it upright in a deep salad bowl and with a chef’s knife slice the kernels from the cob top to bottom. 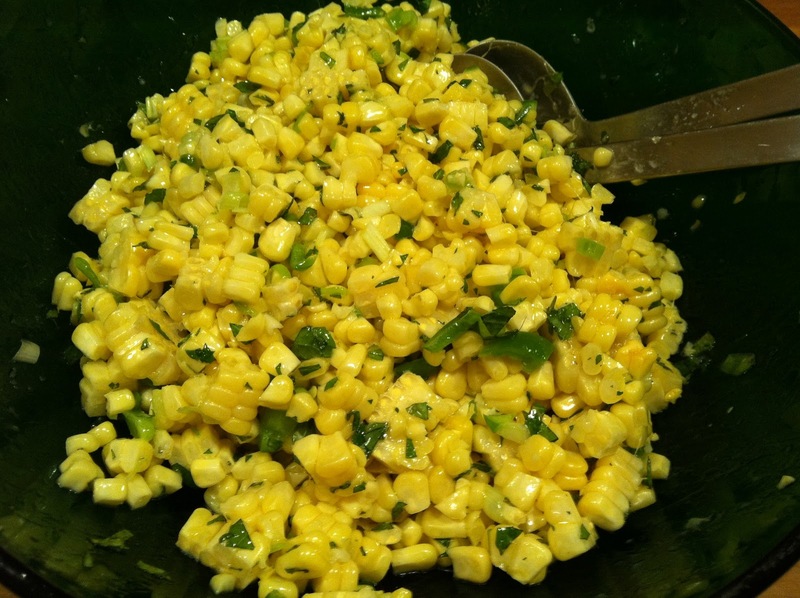 It’s best to try and cut them away whole by making sure you are slicing fairly close to the cob. 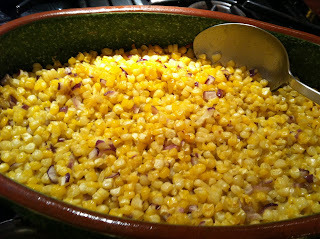 I love tossing the kernels fresh from the cob with a little bit of olive oil, minced shallots or onion, and kosher salt, then roasting it at 400 for 45 minutes…it’s best when you start to see some browning on the edges of the kernels…so sweet. It’s equally delicious with olive oil and kosher salt but when serving it cold I often add one or two other ingredients such as mint, scallions, tomatoes, green peppers, basil, basically whatever you have in your veggie drawer. Take advantage of the season and start shucking!